Another book bought on last year’s Highland trip was Lady Barnett’s Cookbook by Isobel Barnett, a successful, educated middle class woman who married a successful middle class, educated man who was knighted and whose title was used by his spouse to further her career. 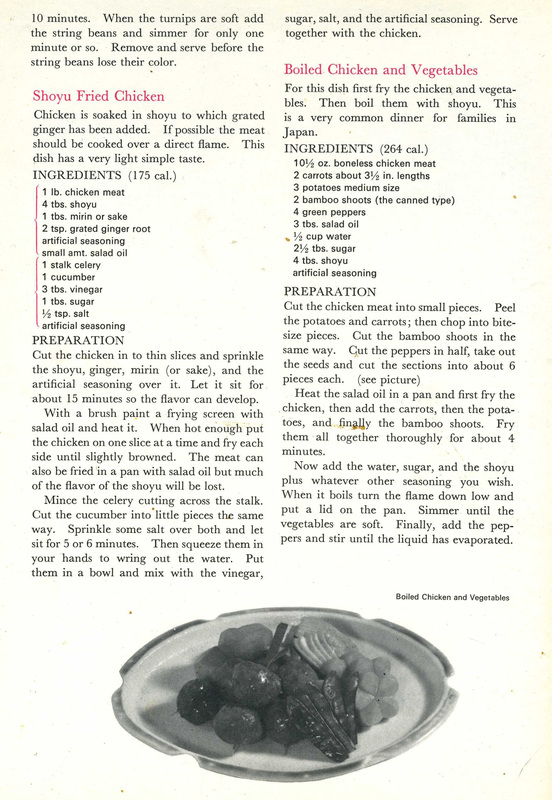 Yes, this is a celebrity cookbook, 1960s-style.While the airbrushed version of her life appears on the dust jacket in CV form (click on image to enlarge). The internet tells a story which induced my co-bloggeuse to exclaim ‘Oh, she’s tragic!’ (though far more sympathetic than Premiership footballer who pinch supermarket doughnuts). According to my (admittedly limp) grasp of food hygiene, eggs should either be hot or cold, so please don’t keep them in warm, salted water. Salmonella is a real downer, or so I’ve heard. This dish may seem like something one might put together from bits found at the back of the fridge (a couple of eggs, a bit of bechamel, some greens where it doesn’t matter if they’re a bit old because they’re going to be wilted, chopped and covered in hot cheese) but it results in something filthily delicious and incredibly filling. I had it as was, but you might want a triangle or two of crisp toast on the side. Recommended now the nights are miserable. ETA: I have just only just realised that I could see her in her prime – voila! A clip of What’s my Line from 1955. Enjoy! Look at this wonderful thing! A friend liberated it from his grandmother’s bookshelves for me and I appreciate it so very much. 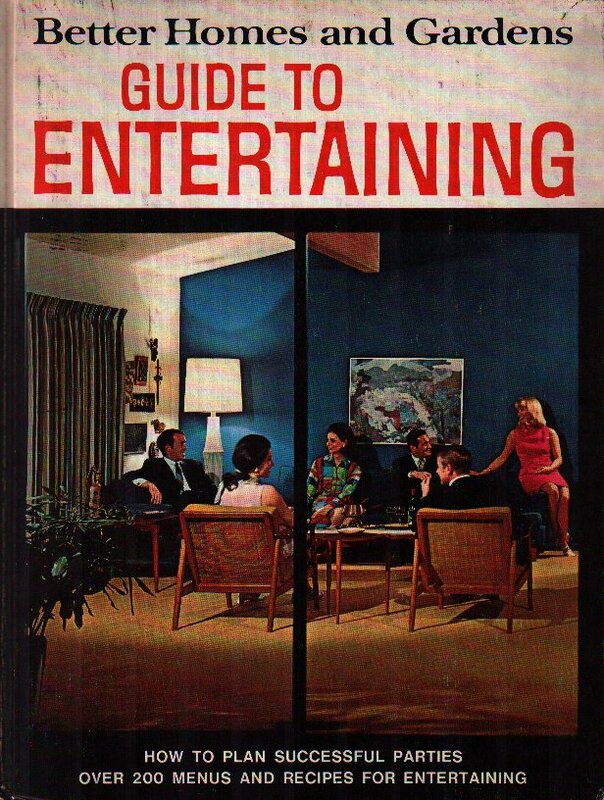 If I had unlimited shelf space and an extra few hours in the week, I’d probably collect and blog about etiquette and entertaining manuals as well, but there’s only so much time a person should devote to horrified chuckling at kaleidoscopic interiors, conformist gender roles and devilled ham. I love a brownie, as recently discussed, so was excited to try this recipe. Hilariously, the Betty Crocker cookbook contains a mixture of proper recipes made from ingredients and entries like ‘Angel Cake: One box of Betty Crocker Angel Cake Mix. Assemble according to instructions for a quick and easy dessert’. 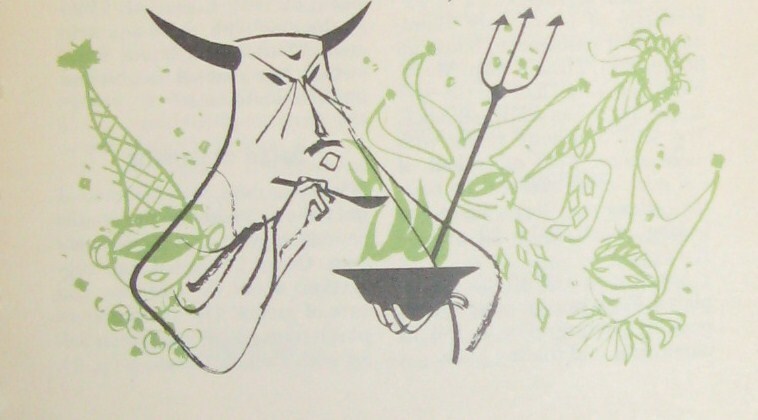 This is from the Southern menu (as is the illustration of the devil, above). On a recent trip to Scotland, I visited Leakeys (Greyfriars Hall, Church Street, Inverness, IV1 1EY), the bookshop of your dreams – a hundred thousand volumes on tall wooden shelves in a converted 18th century church whose mezzanine also houses a café where incredibly friendly and efficient staff serve exactly the kind of food you want to eat in an area where it sloshes down with rain in August. My travelling companion, a fiction buyer-bookseller extraordinaire and glutton, was most impressed, stating that while popular, the bookshop-café combination is rarely well-executed. 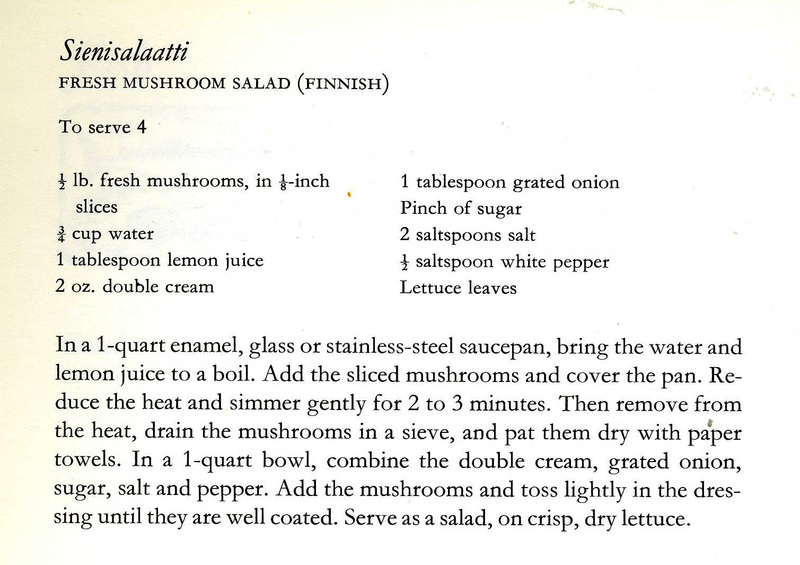 This was from the Time Life Scandinavian cookbook, and was one of my healthy vegetable based dishes for Eurovision. Healthy, plus cream. Of course. When Alix informed me that she would be making Liptauer cheese for our Eurovision party, I decided to make some Norwegian lefse crackers to go with it. Unfortunately I realised late on Friday night that I should have made the dough earlier that evening so the it could rest for the required 10 hours before baking. Thus it was that I decided to make an truly English contribution – cream crackers. To achieve this, I turned to The Good Housekeeping Cookery Compendium, part 3, Cake Making (The Waverley Book Company, 1956).